Vinayaka (Ganesh) Chaturthi is celebrated to honour the Lord Ganesh. Hindus in India widely celebrated this festival. 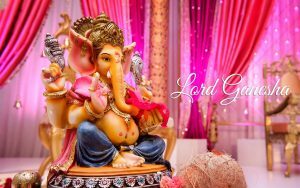 On this auspicious day, homes are decorated, and people place a clay idol of Ganesh and offer prayers by chanting the Ganesh mantras. Any new activity that started on this day is successfully completed without any obstacles (Vighna). The Story behind Ganesh Chaturthi is stated below. Mythology states that Goddess Parvathi created Ganesha or Pillayar or Vinayagar with sandalwood paste and gave life to him. Parvathi set him as guarding her while she was bathing. Later when the Lord Shiva came home, Ganesha and Shiva got into a tussle which resulted in Shiva severing the Ganesha’s head. Parvathi enraged on this act and demanded Shiva to bring back the life of Ganesha. Shiva promised Parvathi to bring back her sons life. After combined efforts of Shiva and Devas, they found elephant head. 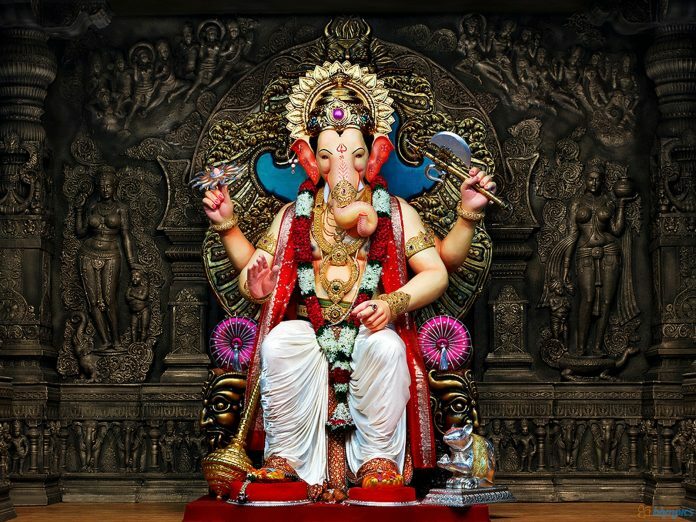 They had fixed the head of an elephant to the Ganesha’s body, and thus Elephant-headed god, Lord Ganesh came into existence. The festival falls on Hindu month of Bhaadrapada which falls in August or September. The Ganesh Chaturthi lasts for ten days and ends on the fourteenth day of the fortnight, i.e., Anant Chaturdashi. The Vinayaka Chavithi is celebrated throughout the country. However, it is celebrated elaborately in Maharashtra, Telangana, Andhra Pradesh, Karnataka, Tamilnadu, Kerala and Goa. It is celebrated outside the country, which has a fair share of Hindus presence. Many weeks or months before the Ganesh Chaturthi, sculptors start making the idols of Ganesh in varies sizes from household celebrations to community celebrations. The idols are placed on decorated stages under temporary mandaps. It is believed that one should not sight the moon on Ganesh Chaturthi day. Seeing moon on Vinayagar Chaturthi creates Mithya Dosham or Mithya Kalank which means a false accusation of stealing something. As per the Puranic Legends, Lord Sri Krishna was falsely accused of stealing the precious jewel named Syamantaka Mani. Sage Narada informed Lord Krishna that he sighted the moon on Bhaadrapada Shukla Chavithi and because of that he was cursed with Mithya Dosham. Sage Narada later informed that Lord Chandra had been cursed by Lord Ganesh on Shukla Chavithi that anyone who sighted the moon will face the false accusation. On the advice of Sage Narada, Lord Krishna has observed Ganesh Chaturthi fasting to get rid of Mithya Dosham. As per the tradition followed in different states and different families, the celebrations come to an end on 1, 3, 5, 7, 9 or 11 days. By the end of the celebration, the idol is taken to a large water body for immersion. 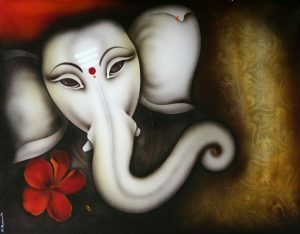 People worship Lord Ganesha with the utmost respect and devotion on this day. 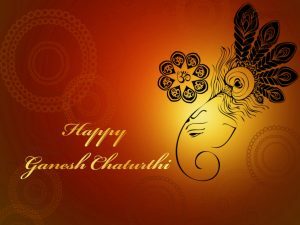 We have given the best collection of Ganesh Chaturthi SMS, Wishes and Messages to share. with these offerings on this day. Removing Obstacles from your life! Wishing you happiness as big as Ganeshhi’s appetite life is long as his trunk trouble as small as his mouse and moments as sweet as his laddus Sending you warm wishes on Ganesh Chaturthi! 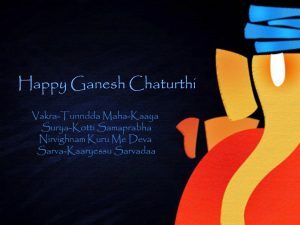 Happy Ganesh Chaturthi to u in Advance. ! !